Born to Norman Hunter of Benson, Vermont, Israel Hunter was a farm laborer before enlisting into the service. His brother, George Hunter, served in the 41st U.S.C.I.. Hunter deserted his unit from its camp near Petersburg, Virginia, on June 26, 1864. He returned to Fair Haven, Vermont, where he told everyone that he was on furlough from the army due to his having the "fever." Then he sought employment on a steamer, the "Mary Washington" transporting goods to and from the army at City Point, Virginia. He returned to his unit voluntarily on February 18, 1865. He was discharged from the army by General Court Martial on March 17, 1865 and returned to Benson, Vermont. On April 16, 1867 he moved to Castleton, Vermont where he married Estella Jackson. Census records of 1870 show that together they had five children. Hunter was a teamster by trade. 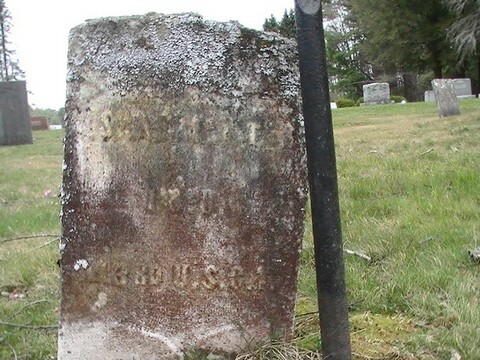 Israel Hunter died on April 11, 1898 and is buried at the Castleton Cemetery, Vermont. It is apparent from pension records that he never told his family of his desertion. Not until 1913, when his youngest son asked for the survivor's benefit, did the story come to light.